Perfect For Large Classes And Greenhouses. 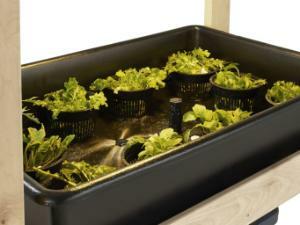 Self contained ebb and flow hydroponics growing system. 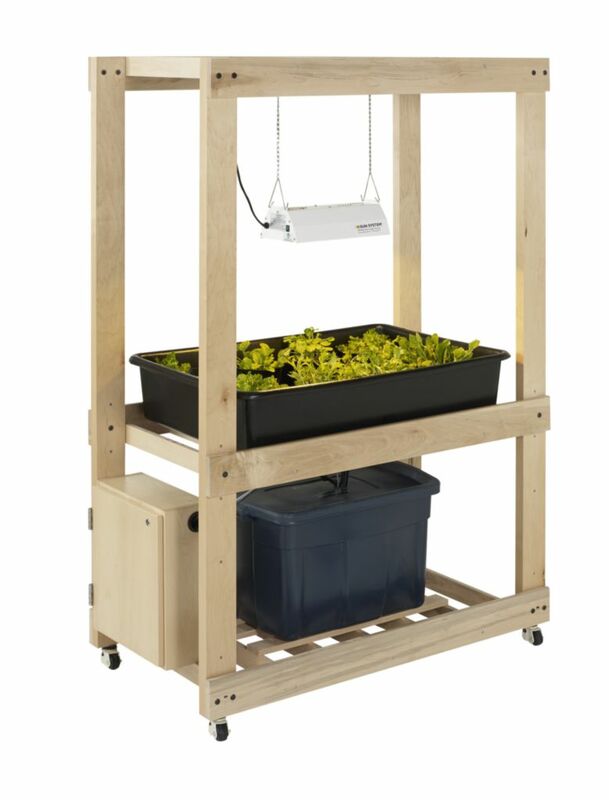 The perfect way to learn how plants can grow without soil and helps teach the basic concept for the plants needs, nutrition, food production, recycling, agricultural technology and soil-less growing environments. This mobile hydroponics center includes grow lights and water pump. 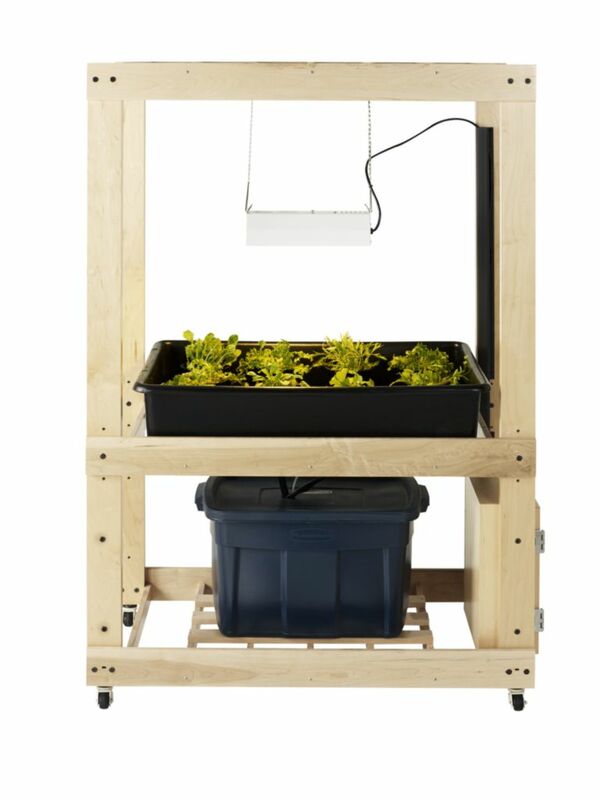 The adjustable timers enable you to grow your plants with the perfect amount of water and sunlight. The construction allows easy access for students and teachers alike. The containment plant tray is 8"Hx27-1/2"Dx42"W. There is a 25 gallon nutrient reservoir with lid, a locking cabinet for timers and air pump, and a 150 watt grow light. The growing system is complete with a submersible pump, an air pump, an air stone, (2) timers, hoses and 8" net pots. 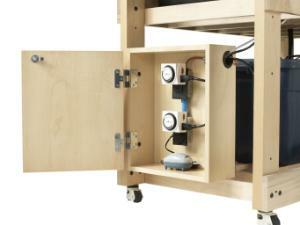 The unit moves easily on 4" locking, leveling casters.